Finally! The 3rd edition of my little tradition, a particular ‘annual report’: the list of my favorite hominin #FossilFriday tweets in 2016, from number 10 to 1. For those who do not know what “FossilFriday” means… Every Friday on twitter, people share pics of their favorite fossils, related scientific papers or blog posts, by using the hashtag #FossilFriday. This is a great manner to show famous or rare pieces of museum collections, and to share research works. 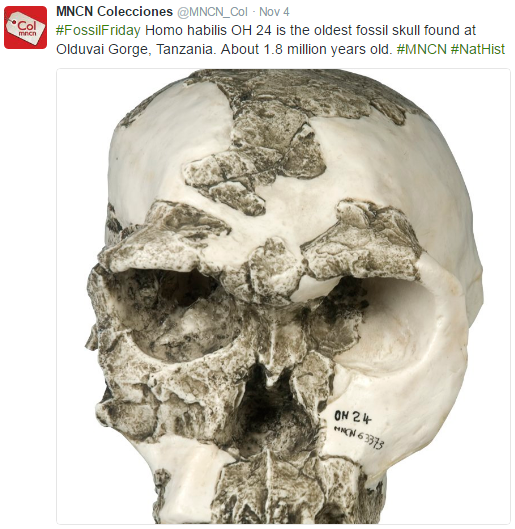 I join every Friday and tweet about a different hominin fossil. Now, let’s start!